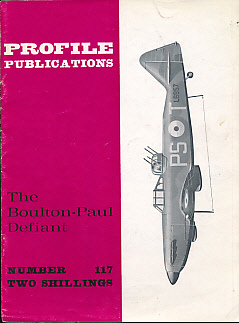 Barter Books : Bowyer, Michael J F : The Boulton-Paul Defiant. Profile Publications Number 117. 240 x 180 mm (9 x 7 inches) - 10pp.